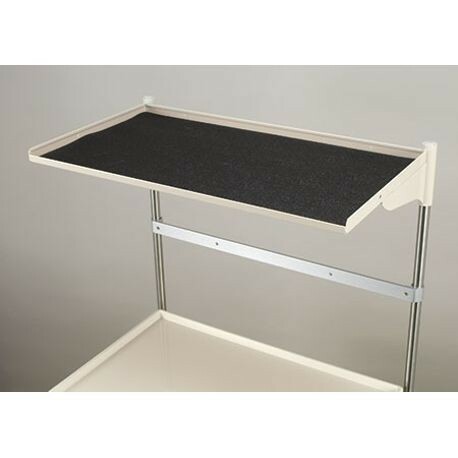 Overall size: 45.50"H x 25.40"D x 41.65"W (includes bumper, handles, and casters). 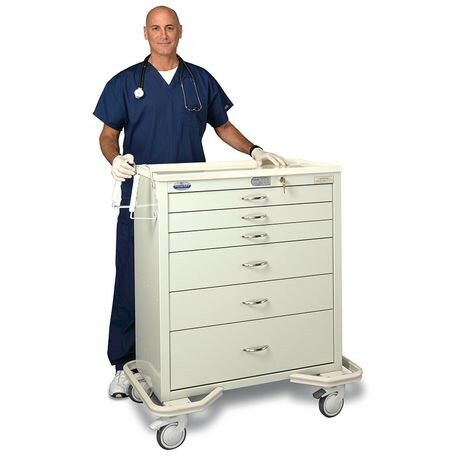 Drawer size: 171/16"D x 291/4"W.
Six-Drawer: 2 7/8"H (3), 6 1/8"H (2), 9 3/8"H (1). NOTE: No auto-locking features (control knob must be turned manually to lock and unlock). Carts require some assembly. 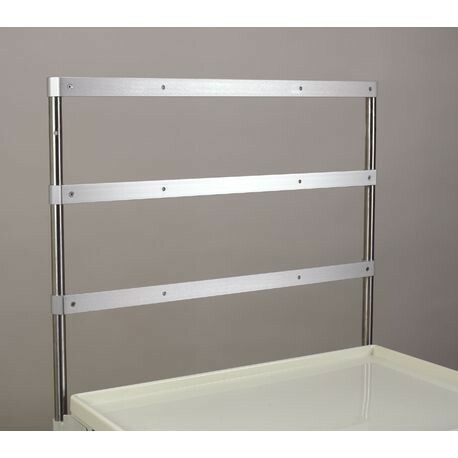 Dimensions: 10" x 34 1/2"
Adds up to 21" of height to cart.